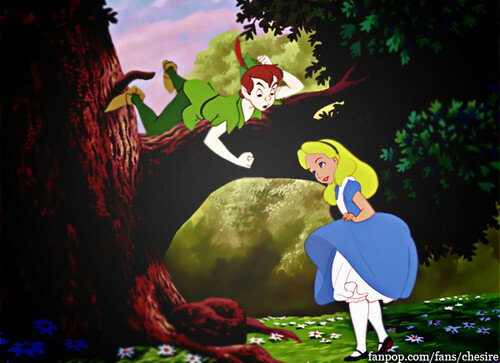 Alice ♥ Peter Pan. I absolutely cinta these two. ♥. Wallpaper and background images in the disney crossover club tagged: disney crossover alice peter pan.